This past weekend, Professor Mauricio Carra traveled to New York to compete in the IBJJF Pan No-Gi Championship. Professor Mauricio defeated two opponents to become the 2018 Master 3 Medium-Heavy Champion. Congratulations to Professor on winning GOLD in New York! 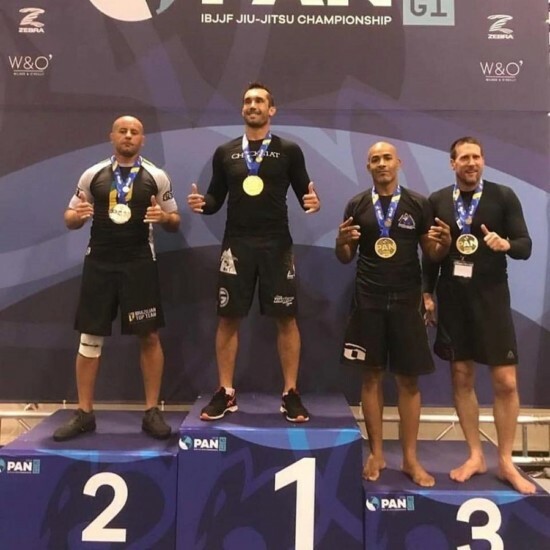 Professor Mauricio teaches No-Gi classes Monday, Wednesday, or Friday mornings at 10:00am, as well as Monday and Wednesday evenings at 7:30pm.